Let Delta 1 Plumbing Repair Your Slab Leak Quickly And Professionally. Wondering what is a slab leak? This happens usually when copper pipes under concrete slabs starts leaking waters. We have the slab leak solution to any leak or other kinds of water leaks in and around your home. We offer great deals and quick services to save money for our slab leak detection customers in all of Tarrant County. Water leaks can be anything from a minor problem to a total plumbing emergency, and we will provide a slab leak repair solution for your slab leak. Whether you are dealing with leaking pipes, a burst pipe inside a wall, leaking ceiling pipes, or maybe you have discovered a water leak under your slab foundation. You need Delta 1 Plumbing with the expertise more than 45 years of experience to locate and pinpoint and make the necessary repair for your slab leak. We use the most up to date and reliable water leak detection equipment available to locate the source of water leaks under the slab of your home. This technology allows us to examine the cause of water leaks and quickly identify the best approach for the repair. Our professional slab leak technician are committed to protecting your home from unnecessary damage. We will go out of our way to protect your home, driveway, patio and other concrete areas to safeguard against any other additional damage to your property. For example, if we need to fix a water leak in the wall cavity, we will look for an alternative approach, working through an adjacent closet. You can trust all of our professional slab leak technician to care for your home as if it were their own. We are more than happy to give advice on which solution is most suitable for your needs, depending on your Plumbing needs. Why not ask us to view your property and discuss the various options with you now. Our advice is free over the phone. A video pipe inspection allows for a real-time visual plumbing inspection of underground plumbing and sewer lines to determine the condition inside the pipe. 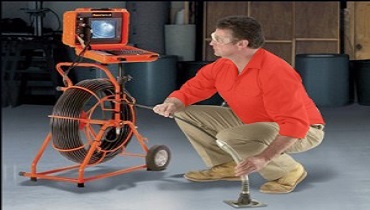 A strong, flexible fiber optic cable with a high-resolution video camera is inserted into the plumbing or sewer line for detailed inspection. As the cable pushes through the plumbing, a high resolution, waterproof camera equipped with powerful lights records its findings in great detail. The live video is transmitted to the plumbing technician who makes an informed plumbing diagnosis of any problems found. The video pipe inspection is saved for a permanent record. Our high-resolution video cameras identify pipe damage and obstructions that inhibit proper water flow or create occasional backups. The specially designed plumbing camera verifies that obstructions have been eliminated and that the water and sewer lines are clean following plumbing service. The true condition of a pipe typically cannot be determined without a visual video plumbing inspection using an in-line high-resolution camera. Corrosion – water pipe that has deteriorated and/or broken, causing sections to collapse and restrict water flow. Bellied pipe – sections of the water pipe that have sunk due to ground or soil conditions, creating a valley that collects paper and waste. Leaking water pipe joints – seals between pipes that have broken, allowing water to escape into the area surrounding the water line. Root infiltration – tree or shrub roots that have invaded the sewer line, preventing normal cleaning and/or roots have damaged the water pipe. Off-grade pipe – existing pipes of substandard or outdated plumbing material that deteriorate and corrode over time. Rheem Water Heaters is Delta 1 Choice of Watter heaters for over 30 years. 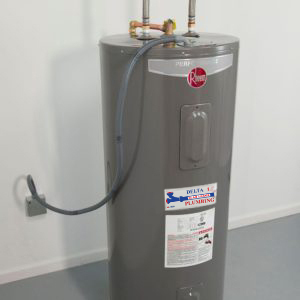 A single-family storage water heater offers a ready reservoir — from 20 to 80 gallons — of hot water. It operates by releasing hot water from the top of the tank when you turn on the hot water tap. To replace that hot water, cold water enters the bottom of the tank, ensuring that the tank is always full. Conventional storage water heater fuel sources include natural gas, propane, fuel oil, and electricity. Learn more about fuel types available when selecting a new water heater. Since water is constantly heated in the tank, energy can be wasted even when a hot water tap isn’t running. This is called standby heat loss. Only tankless water heaters — such as demand-type water heaters and tankless coil water heaters – avoid standby heat losses. Some storage water heater models have heavily insulated tanks, which significantly reduce standby heat losses and lower annual operating costs. Look for models with tanks that have a thermal resistance (R-Value) of R-12 to R-25. Gas and oil water heaters also have venting-related energy losses. Two types of water heaters reduce these losses: fan-assisted gas water heaters and an atmospheric sealed-combustion water heaters. You might also want to consider some less conventional storage water heaters – heat pump water heaters and solar water heaters; these are usually more expensive but typically have lower annual operating costs. 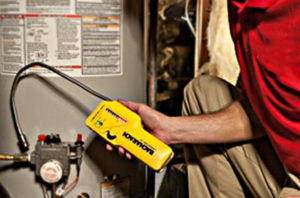 Residential and small commercial gas leaks are quick and accurate diagnoses with our detection technology. No matter the problem, we can help you at your home. Call today to find out how! We have also mastered cutting-edge equipment for gas leak location, no matter where it is hiding. Home or business, big or small above or below ground–natural Gas Leak can cause many problems and even death if unattended. Call us today if you suspect you have a gas leak, and be safe rather than sorry. A pressure regulator is the most important and overlooked part of your house and sprinkler systems. Working properly, a pressure regulator keeps your dishwasher, washing machine, ice maker, solenoids, toilets, vales, and water heater in safe, working condition. A normal house has 10-15 water valves, and an average valve fixture uses 2.5 gallons a minute. A properly set (50 PSI) and functioning pressure regulator will deliver up to 30 gallons per minute. In 99% of homes, the water pipes are copper underneath the house. We will check your water pressure for free on all service calls. Water pressure regulators control both the water pressure and the flow rate of the incoming water supply into your home. 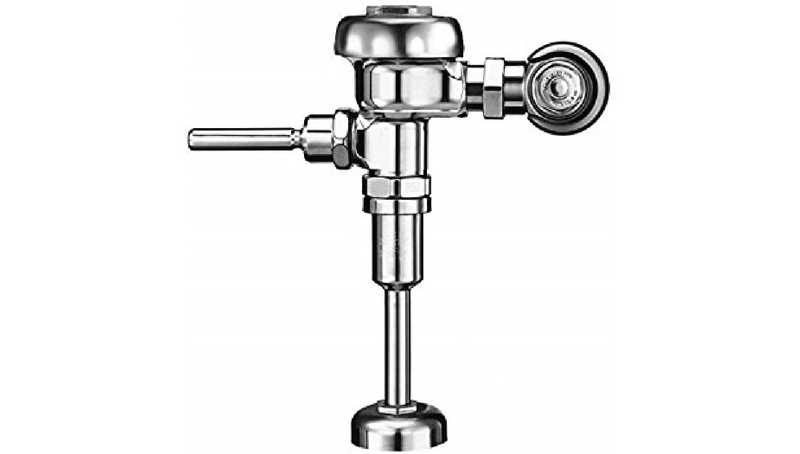 Regulators are used to allow high-pressure water supply lines to be reduced to safe and usable pressures. A properly-installed pressure regulator can eliminate many common plumbing problems, saving you both time and money in the long run. However, a damaged or worn-out pressure regulator can result in dangerously high water pressure in your home. There are many common issues that can be easily prevented or solved through the installation or replacement of a water pressure regulator. In need of a reliable and professional commercial plumbing contractor in the Tarrant County area? Call Delta 1 Plumbing, your dependable commercial plumbing specialists. Delta 1 Plumbing offers a large quantity of services that guarantees customer satisfaction. We will be there for any service that needs to be done. We believe in more than just prices. We believe in customer service that exceeds that of the competition. Senior citizens, who have already contributed their share to society, are awarded an additional discount off the top of our already fantastic prices. We care about our plumbing family. A burst pipe is a plumbing emergency! Stop now and call Delta 1 Plumbing for fast, reliable and efficient emergency repair that lets you get back to your routine with the least disruption possible. Delta 1 Plumbing is in Fort Worth, Grand Prairie, North Richland Hills, and all of Tarrant County, as the premier plumbing of choice. In the business for 45 years, Delta 1 Plumbing is owned by Dr. Roy Cryer, MP, Master Plumber working in the field since the young age of 9. At Delta 1 Plumbing, we offer same-day service and offer a free telephone consultation for those in need of a simple word of advice. Delta 1 Plumbing is fully-licensed, bonded, and insured. We also offer a senior citizen discount to assist those g on a fixed income. When it comes to service, no one goes further for their customers than Delta 1 Plumbing. Dr. Roy Cryer M.P. and his team of expert plumbers can handle any plumbing problem imaginable. From clogged toilets to water heater repair and replacement, our staff is ready to tackle your problem head-on and with confidence. Their specialty, however, is in slab leak detection. Water pipes underneath your homes’ foundation can leak due to age or any number of other factors. Delta 1 Plumbing has a highly-trained staff using state-of-the-art equipment to detect potentially dangerous and costly problems. A major problem that can lead to costly repairs for homeowners is a broken water supply line or drain. Most homeowners do not realize they are responsible for the main water line running from the street to the front of their house. Our team members are experts in diagnosing small plumbing problems before they get costly. They can tackle and pinpoint the leak with the proper tools and techniques that keep costs down. Give the Delta 1 Plumbing team a call the next time you have a problem, and leave the repairs to us! Do you need to have your garbage disposal repaired or replaced in the Tarrant County Area? 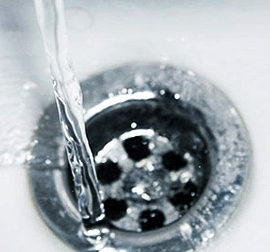 Call Delta 1 Plumbing now for quick, cost-effective garbage disposal repairs and replacements. If you need your garbage disposal repaired, or if you aren’t sure whether you need a new one, you have come to the right place. We have been servicing all of North Texas for over 40 years, and we carry a variety of the finest garbage disposal units to fit everyone’s budget. If we can repair your old garbage disposal at a price far below a new one, we will save you that money. If you decide you want to upgrade to a newer and more efficient model, we have a great selection and will explain the differences in garbage disposals to you so that you can make an informed decision. Sometimes a garbage disposal unit will jam, often due to inappropriate food being fed into the disposal. You can usually clear the item from the disposal by forcing the turntable containing the sharp slots that shred the food, pushing the reset button on your disposal, and seeing if you have corrected the problem. If that doesn’t work, give us a call and a professional will assess the situation. Never place your hand into the garbage disposal unit without first shutting off the power at your breaker box. Many people are unaware that the garbage disposal helps rid the dishwasher of waste that accumulates from the dishes. You may find that you experience episodes of food left on the dishes after running the dishwasher, or you may experience problems with clogged pipes that run from the dishwasher and down the kitchen drains. If you do not have a garbage disposal and are tired of smelling rotting food until your garbage service picks up your cans, we can help you. Just give us a call and our friendly and knowledgeable team will install a new energy-efficient unit at a price you can afford. Have one or more drains in your home? Get them resolved now by calling Delta 1 Plumbing today. We are more than happy to give advice on which solution is most suitable for your needs, depending on your Plumbing Needs, Why not ask us to view your property and discuss the various options with you now. Our advice is free over the phone. When you need new plumbing fixtures installed in your home, or if you are planning a plumbing upgrade, just call on Delta 1 Plumbing. Our experienced plumbers are familiar with the best installation practices for all major brands of residential plumbing.